The hopes that Lacroix would be saved from bankruptcy are much dimmer tonight. Earlier today, a French court approved drastic cutbacks at the House that Christian built. Almost all staff will be let go and the Haute Couture and RTW lines will be no longer. A few potential buyers collectively lifted the spirits of frill and frou lovers the world over, in hopes that the label would be saved from its demise. However, those buyers failed to provide financial guarantees in time for deadlines set by the courts. The less than a dozen employees remaining will manage licenses for perfumes and the like. Such a shame – I still remember my experience at the Lacroix Knightsbridge boutique in London, during the designer’s heyday in the mid-’90s. Those clothes were gorgeous and the details, divine. 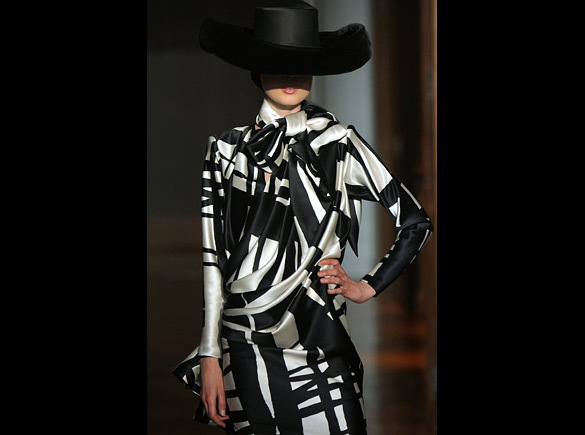 Here are a few looks from Lacroix’s last Haute Couture collection for Fall ’09. If only the books were as black and white. 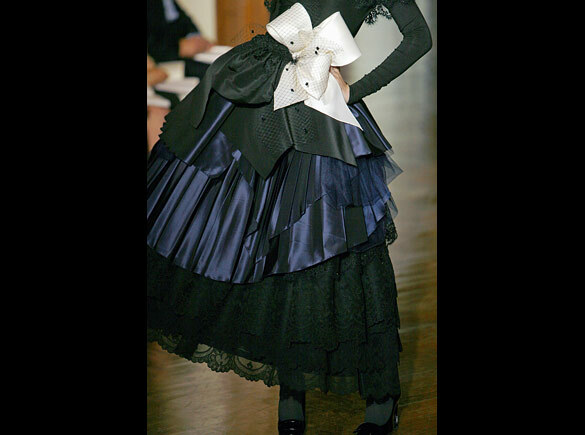 A look from Christian Lacroix Haute Couture FW09. Rich textures and finishes. Just no riches at the moment. A flourish like no other, at Lacroix Haute Couture. I'm afraid it's fur real this time. 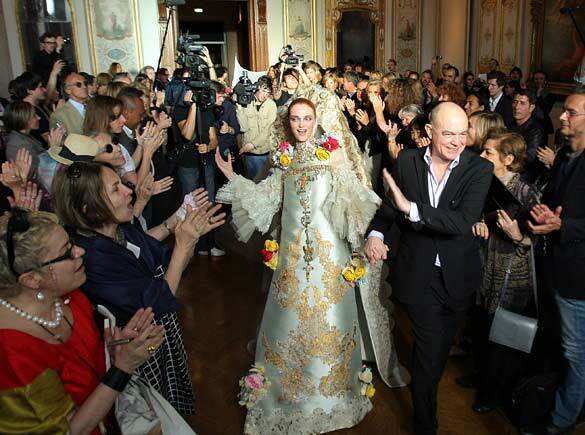 Christian Lacroix taking a well-deserved bow at his Haute Couture FW09 show. With files from AFP and WWD. Images courtesy of The Times UK.